Yamaha’s Jorge Lorenzo will start the season-opening MotoGP round in Qatar from pole position after a thrilling qualifying session that went down to the closing moments. Lorenzo set his pole time on his first run, but a big mistake on his second attempt left him prone to attack. 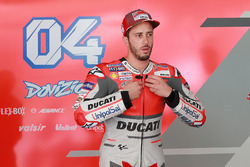 Ducati’s Andrea Iannone looked like the man most likely to topple him, but he caught the Pramac Ducati of Scott Redding in the second half of his lap, leaving him a distraught and frustrated figure as his potential pole lap was ruined. Iannone will start on the second row, as Honda’s Marc Marquez and Suzuki’s Maverick Vinales annexed the final spots on the front row. Marquez went off into the gravel practising his start at the end of the session. 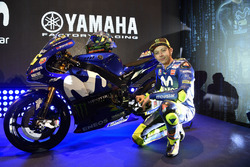 Yamaha's Valentino Rossi will start fifth, ahead of the second works Ducati of Andrea Dovizioso. Before the session, Lorenzo and Rossi had an argument at the end of the FP4 session, after Rossi appeared to complain that Lorenzo held him up. 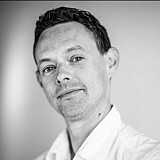 The pair stopped alongside each other before they practised starts, with Rossi waving his arms in complaint and Lorenzo shrugging back. After Marquez and Rossi laid down early banker laps, Lorenzo slammed in 1m54.543s – taking top spot by almost 1.5s at the time with the fastest lap of the weekend so far. Marquez responded with 1m54.943s, 0.4s down on Lorenzo. This was deposed by Andrea Iannone’s 1m54.872s, 0.329s off Lorenzo’s benchmark. 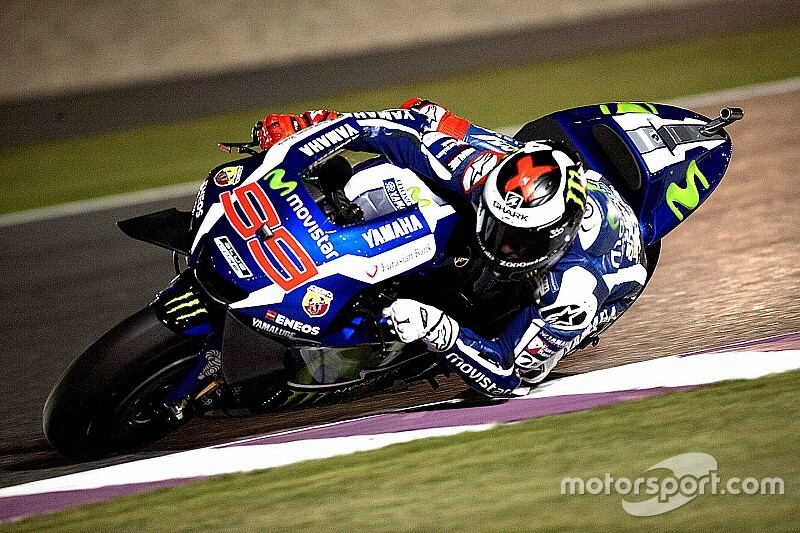 Lorenzo then rattled off a 1m54.588s on his second lap, which was also good enough for pole. Marquez retook P2 with 1m54.634s, just 0.091s off pole on his fourth lap on his tyres – staying out a lap longer than most of his rivals. Rossi was down in 10th initially, almost a second off the pace after his first run using a hard front tyre. 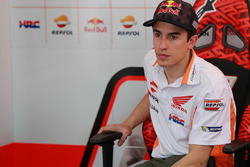 Marquez set a new fastest first sector on the first lap of his second run, but his laptime fell away and he was two tenths off his first-run time. Lorenzo aborted his second run after a huge moment, as Iannone threw caution to the wind on his final lap. 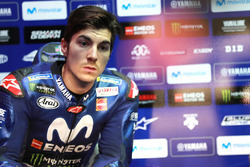 Quickest in the first and second sectors, he lost time by catching Scott Redding’s Ducati and will start fourth. Vinales jumped to third on his last lap, a 1.54.638s. Rossi climbed to seventh on his first flyer, and was briefly fourth before being knocked back to fifth by Iannone. Last year’s polesitter Dovizioso was down in P7 after first run, and jumped to fourth on 1m54.963s. He slipped back behind Vinales and Rossi in the closing moments, and will start sixth. Honda’s Dani Pedrosa will start seventh, ahead of leading privateer Hector Barbera, Pol Espargaro, Cal Crutchlow, Bradley Smith and Scott Redding. Crutchlow and Smith progressed from the first session, Crutchlow lapping in 1m55.291s compared to Smith’s 1m55.490s. The main shock of the session was Aleix Espargaro crashing his Suzuki at Turn 1. He sprinted back to the pits to try again on his spare bike, but could do no better than fifth – which means he will start 15th – behind Yonny Hernandez and Eugene Laverty.